1. Professionals Know What to Look For. Do you know the signs of termites? What about cockroaches? One of the benefits of pest control is that the pros know the signs and where to find them. 2. Preventative Care is Key. The best time to have a pest infestation is never. Pest professionals don’t just get rid of pests–they also help prevent them. 3. The Pros Get the Job Done. The internet is a great place to start if you want to take care of a pest problem yourself. The problem? The information is overwhelming and you’ll find different solutions on different websites. 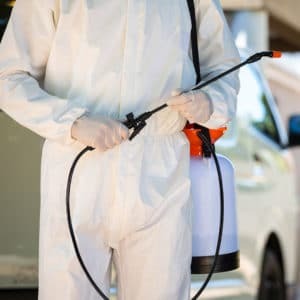 Professionals know what works and what doesn’t, and they will use all their knowledge to take care of your infestation problem as soon as possible–no experimentation needed. 4. You Will Have Peace of Mind. Did you know some bugs and other pests can cause health problems? When your child seems to be having an adverse reaction to something, you will confidently be able to rule out an allergy to cockroaches, for example. You’ll get all the benefits mentioned above and more. We serve the Pennsylvania, New Jersey, and Delaware regions, so we know exactly what pests to be on the lookout for and how to get rid of ones we find. Our knowledgeable professionals have been in business for decades. Contact us today at 877-636-9469.